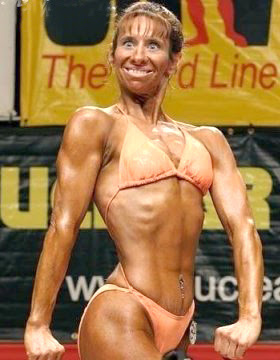 For those of you who haven't seen me in awhile, I have been working out to shed my baby weight. I have also been tanning since I was feeling a little pasty. Not bad for a mother of 3, huh? wow! i'll have to get the # of the trainer you use ... oh & most importantly - tanning bed info! hee, hee ... that is too much! that's the girl I married.....welcome back babe!